I inadvertently created a safari-inspired outfit for work this week, which was perfectly fitting given yesterday's jungle-like combination of heavy rain, heat and humidity. 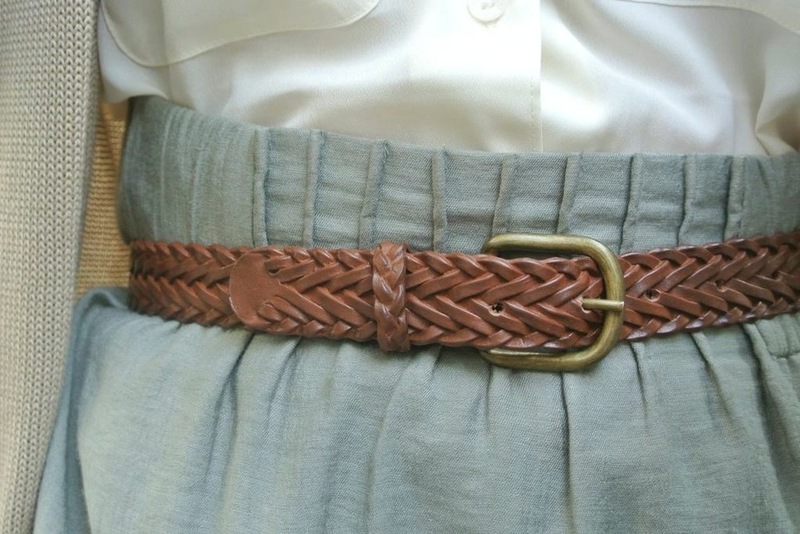 After deciding to stick with a natural palette, I threw on a moss green skirt ($3.50, from The Sharing Place Thrift Store) and an ivory utility shirt ($7.50, TJ Maxx) paired with a brown, woven faux-leather belt ($1.80, Buy The Bag). 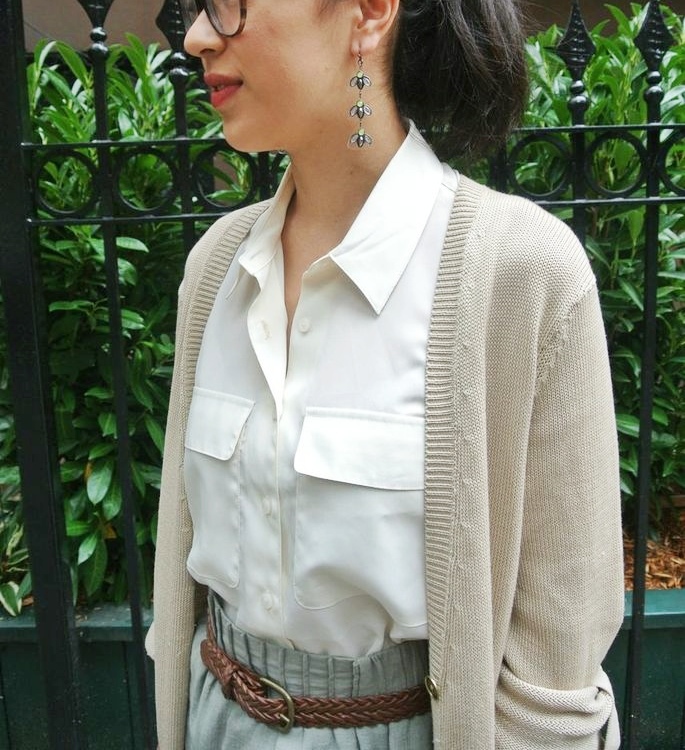 I then topped things off with my khaki-colored Michael Kors sweater ($1.50) scored at Underground Thrift's Stuff A Sack sale, and kept my accessories understated with my lucite earrings ($16) from BaubleBar and a few assorted rings (cost unknown). The total look came out to just under $31, and with shoes, my head-to-toe outfit was under $51.